Barcelona vs Malaga match ended with 0-1 scoreline in Spanish La Liga 2015. 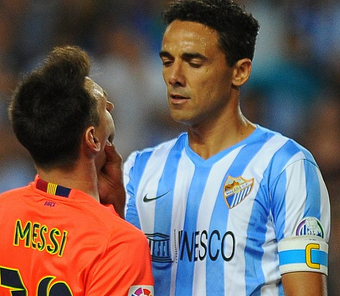 Full Time Score : Barcelona 0-1 Malaga. Juanmi dealt Barcelona's title bid a sizeable blow as his first half strike saw Malaga come away from Camp Nou with a shock 1-0 win on Saturday afternoon. Malaga claimed a 0-0 draw after successfully nullifying Lionel Messi and Neymar when the two sides met at La Rosaleda in September and they produced a fine display to claim their first Camp Nou victory since 1999.